With intimate lyrics and captivating melodies crafted with delicacy and care, Ina May Wool sings songs of survival, rebirth and renewal featuring vocals that are both elegant and edgy. But the New England native has also spent years on the road with bands at smoky bar gigs and jazz clubs, and in studios doing session work, steadily honing her musical chops and proving she is in the music scene for the long haul. Now she serves up an eclectic mix of the jazz, blues and country influences with a wry, unmistakably urban sensibility, combined with a comfortable, down-home connection to her audience. 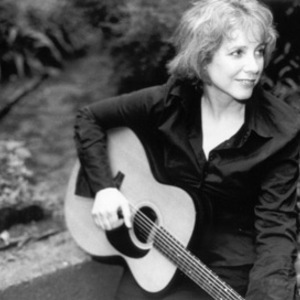 Since the release of her debut CD, "Moon Over 97th Street," in 1999, Wool has been hailed as a contemporary Jane Austen, a strong yet sophisticated storyteller as sharp and confident as Lucinda Williams yet as smooth and lyrical as Suzanne Vega. The critical success of the album included appearances at the Edinburgh Folk Festival, accolades from the Plowshares Songwriting Competition, the New Jersey Folk Festival, the Just Plain Folks Music Award, and BMI/ASCAP's "Best Unsigned Acoustic Artist" award. One of her songs was included by Vega on a special 9/11 compilation of New York songwriters also featuring Christine Lavin, Richard Julian and Jack Hardy. In 2004, Wool let her fans inside her vibrant, insightful musical world once again with a second CD, "Crack it Open," telling quirky tales about everyone from a New York City cabbie in "Taxi" and a portrait of Frida Kahlo in "Frida" to a touring rock band in "Here We Go" and a happy lover in "Lucky." The album moves from playful to reflective, blending folk, rock, country, jazz and soul into a unique, original sound. With her husband, Daniel Weiss (associate conductor of "Rent") on board as co-writer and producer, Wool again received praise from critics, including as a finalist in the International Acoustic Music Awards, the Rocky Mountain Folks Festival, the Independent Music Awards, Falcon Ridge Emerging Artist Showcase, and the Mountain Stage NewSong Festival . As a performer, over the past five years Wool has toured regularly around the Northeast and Midwest and shared stages with Leo Kottke, John Gorka, Sloan Wainwright, Dan Hicks & His Hot Licks, and Richard Thompson. She continues to entertain audiences with a passionate delivery that she puts across with a twinkle in her eye - making her songs both accessible and affecting. And she continues to push the boundaries of her songwriting, always searching for new ways to take her fans on a journey through song - as she says in "Crack it Open," "I've got a ways to go." "Wool sings so close to the emotional waterfall that she compels undivided attention."